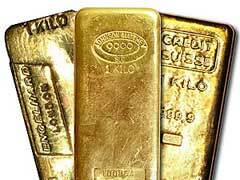 Planning to Purchase Gold Bullion – What Are My Options? If you want to purchase gold bullion it is important to understand your options, so you can choose the best method for your investment goals. Knowing how to buy gold bullion can help you prevent many mistakes, and these common mistakes can cost you money. You can find many types when you are looking to invest in precious metals bullion, including bars, many different coins, and ingots. When you buy gold bullion bars you will usually get the best deal, because of the heavy weight and large amount of precious yellow metal included and low premium costs. The drawback is selling this form of bullion on today’s market may be difficult, depending on demand. In the times of National currency defaults, it makes much sense to own coins rather than bars due to ease of handling and paying for basic necessities. Chunk off a bullion bar anyone? You can purchase gold bullion in other forms as well. Gold bullion coins are available in a wide range of weights and sizes, and a wide variety of styles and values. When you invest in coins you get the value of the precious metal, but you may also get historical value. Some coins are rare, and some may be hundreds of years old and be worth far more than just the gold value. If you acquire them in the form of coins you may not get the best price possible. Savvy investors know that numismatics coins have really nothing to do with investing in the real value of the precious metal. Numismatics are overpriced and their prices are prone to demand fluctuations. So what you pay today for them might be significantly higher than what you might get for them tomorrow. Some coins are more popular than others, some carry lower premiums, some are more beautiful. It’s up to you to decide where you what to draw a fine line in your precious metal portfolio. You can also purchase gold bullion in the form of gold ingots. These are amounts smaller than what you will get with bars, so you will pay a higher markup and fees usually, but this option of buying gold bullion is normally less expensive than buying gold coins. One important factor is what your goals are with your investments. Coins and ingots are more liquid, and easier to store and keep at home securely. If you are going to purchase gold bullion then examine all of the reasons why you are making the investment. This will help you make an informed decision concerning your investment types and options. Where you buy your investment and how you store it makes all the difference in the world. Deal with reputable dealers, some of them may even store your physical investment in a system of secure off site walls solving your problem of how to store gold.